Gloriosa Nursery Pty Ltd is a small family run cut flower nursery in beautiful Emerald which is in the Dandenong Ranges, Victoria, Australia. We specialise in growing Gloriosa rothschildiana and sweet peas, as well as varying quantities of green goddess lily, arum lily, silver broom, helleborus, lilac, white mini agapanthus, mock orange, amaranthus (hanging and upright, red and green), silver suede, sedum, crocosmia and foliages. Gloriosa is picked from early November until late April and sweet peas from August until the end of November. 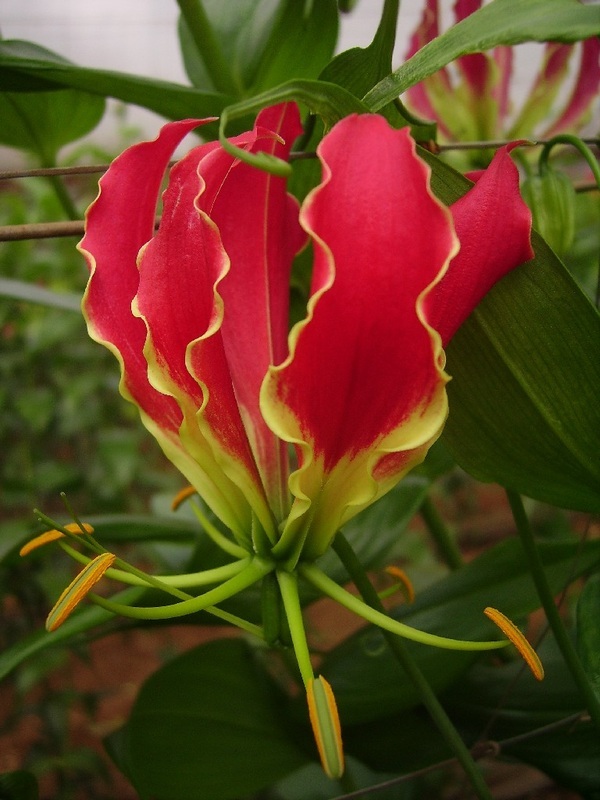 Selling cut flowers is the major part of the business but of course Gloriosa tubers are also sold, both wholesale and to home gardeners.